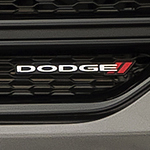 On just a single tank, Dodge Journey takes you on over 500 highway miles for endless fun. It doesn't matter if you choose the standard four-cylinder engine or the available 283-horsepower 3.6 Pentastar V6 engine. You'll get up to 25 miles per gallon on the highway for fuel savings your budget will love. When the available 283-horsepower 3.6 Pentastar V6 engine joins forces with Journey's six-speed automatic transmission with AutoStick, your reliability and gas mileage get a boost from the variable line pressure technology used. Come down to Chilson-Wilcox today and take the Journey for a test drive.